CAMEROON BUSINESS FORUM 2017 - DOUALA The SAWA Hotel in Douala hosted the Cameroon Business Forum on March 13, 2017. Administrative authorities accompanied by about 250 delegates took part in the 8th session of the Cameroon Business Forum. The SAWA Hotel in Douala hosted the Cameroon Business Forum on March 13, 2017. 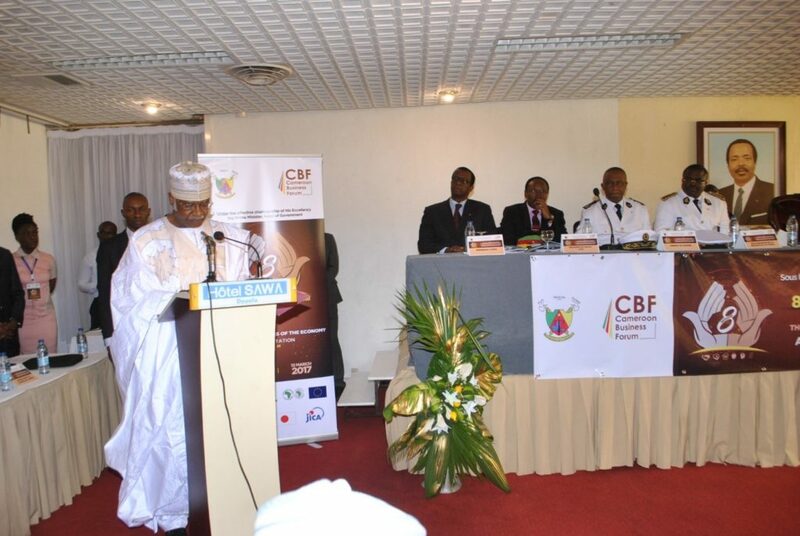 Administrative authorities accompanied by about 250 delegates took part in the 8th session of the Cameroon Business Forum. The forum focused on “Increasing the competitiveness of the economy through foreign trade incentives. The event was to promote dialogue and collaboration between Public Institutions and Private actors in order to support government measures to enhance economic growth, improve on the business climate and boost the private sector. Ways to facilitate cross-border trade were also deeply addressed. D. MOUKOURI & Partner is proud to be among the experts selected by the World Bank to work on in this event.